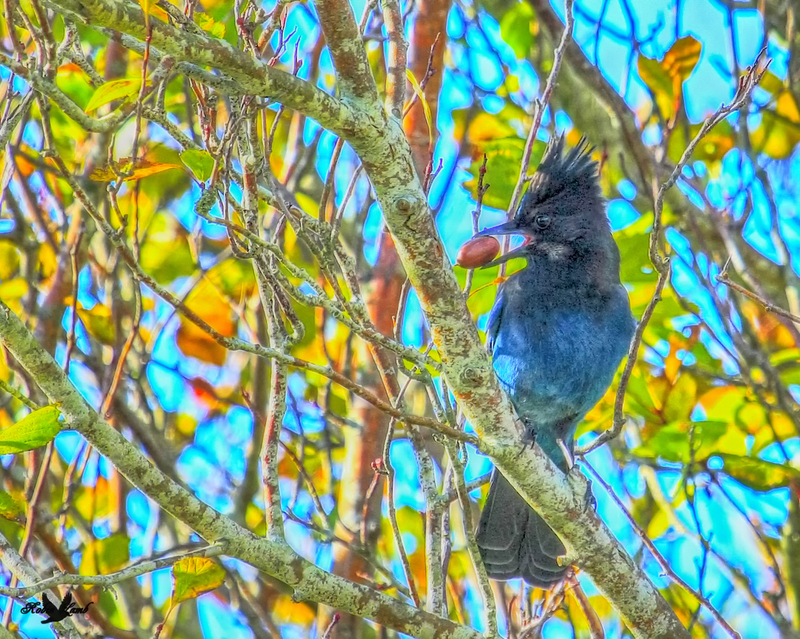 A Stellar’s Jay with a big nut. Looks like a Pecan to me, but I don’t know where it would have got a Pecan. This entry was posted on 2014/10/28 by Robin. It was filed under Birds, Stellar's Jay and was tagged with B.C., Blackie's Spit, Stellar's Jay, Surrey. Did you feed that to him? Beautiful image. Bob, thanks! No i didnt feed him! Guess somebody else does cause there’s no wild pecan trees around here! spectacular photo; could you perhaps post an unedited version? I would like to see the jay without the bright blurred background. Wonderful what you did to the background. Could the ‘nut’ be an acorn? some of them are longish like that. Great image!